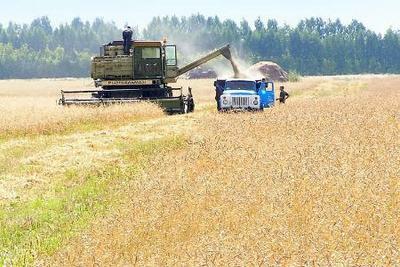 Since June 2010, the program aimed at the technical modernization of the village, Don farmers have purchased 355 units of agricultural machinery produced in the Rostov area — 214 combine harvesters and tractors made of 11 "Rostselmash" as well as more than 130 units of other regional agricultural production. From the regional budget for its implementation has been allocated 300 million rubles for the refund 20% of the cost of purchased agricultural machinery. Today the villagers have received grants in the amount of 144.3 million rubles. The other day in order to support peasant farmers Vasily Golubev has expanded the range of the program. In the short term, following the approval of amendments to the 2010 budget to the Legislative Assembly, will change the requirements for the area of arable land is used as a criterion for receiving subsidies from 500 hectares to 200 hectares — in the case of acquisition of combines and tractors and 500 hectares to 100 hectares — in the case of acquisition of other agricultural machinery. In addition, in 2011, we plan to continue updating the machine and tractor Don households in the form of subsidy of the cost of acquisition of the regional agricultural production, and for this purpose in the regional budget will also be laid down about 300 million rubles. In the Altai is a long-term program of modernization. Its execution over the last 6 years from a variety of sources has attracted more than 18 billion rubles. In 2010, purchased 310 tractors, 250 combine harvesters, 38 combine harvesters and other equipment worth more than 2.6 billion rubles. The villagers become high-performance and high-speed technology to meet the requirements of energy saving and new technologies in agricultural production.